Amid a campaign high on spite and fake news, Netanyahu is uniquely placed to impact the biggest audience. Does he have another ‘Arabs turning out in droves’ surprise in store? In the week before the 2015 elections, opinion surveys showed Benjamin Netanyahu’s Likud trailing four seats behind Isaac Herzog’s Zionist Union, with the momentum running in Herzog’s favor. 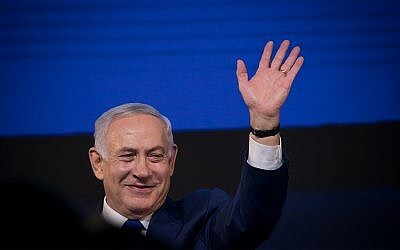 Netanyahu took the gloves off and with dogged force turned things around, snatching a decisive victory from the jaws of potential defeat, “against all odds,” as he described it in his victory speech. 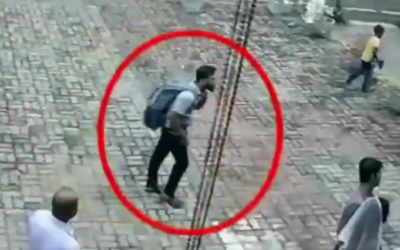 On election day, this single-minded and pugnacious ultimate political operator struck out at Salim Joubran — then chairman of the Central Elections Committee — for denying him (among other politicians) permission to broadcast a press conference, live. “They won’t shut us up! Here’s what the judge and the left don’t want you to hear! View Prime Minister Netanyahu’s speech here!” he fumed. “Here” was the prime minister’s personal page on Facebook. Netanyahu simply sidestepped the conventional media and took to the popular social media platform to deliver a now famous (or infamous) message directly. 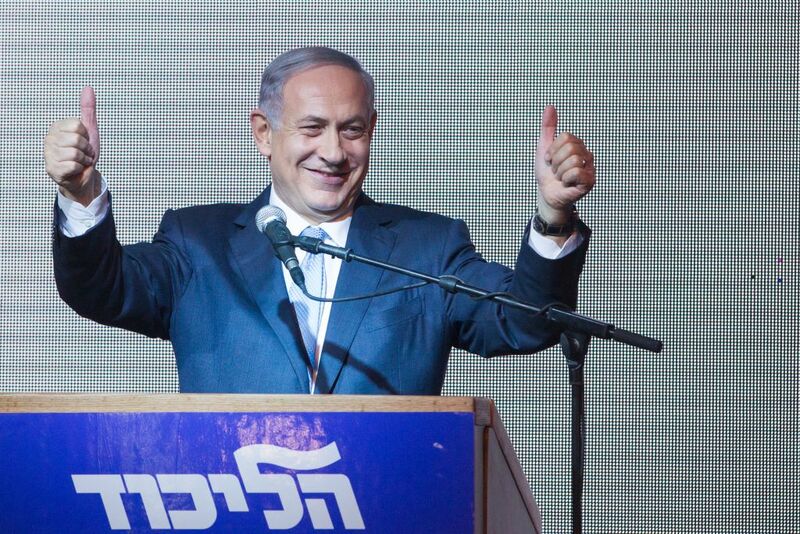 According to some pollsters, whose initial exit surveys put Netanyahu more or less level with Herzog, this dramatic contention may have been a determining factor in the prime minister’s victory. The magician had pulled an exaggerated white rabbit out of a hat and displayed it to a vast audience. Afterwards, he rushed to apologize to the Arab community for having hurt its feelings. By then, of course, he’d been reelected. 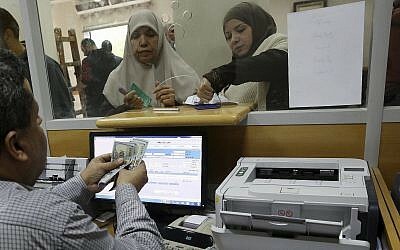 The figures showed that Arab voters were not turning out in droves, though their turnout was up on the previous election: 63.5 percent had cast their ballots, compared to almost 55% in 2013. According to a poll commissioned by the Washington Post, the results of which were published last week, 73.1% of Arab Israelis say they intend to vote in the coming April 9 elections. In January 2015, Netanyahu had 1.1 million followers on his private (as opposed to official) Facebook page. Today, that page has 2.4 million followers, and rising. According to the Socialbakers online analytics company, that is 100,000 fans more than it had in October. Across all social platforms, the prime minister has more than six million fans. Netanyahu’s dominant position on the internet is thanks largely to his dislike of the traditional media, which he regards, as does his ally Donald Trump, as left-dominated and hostile. 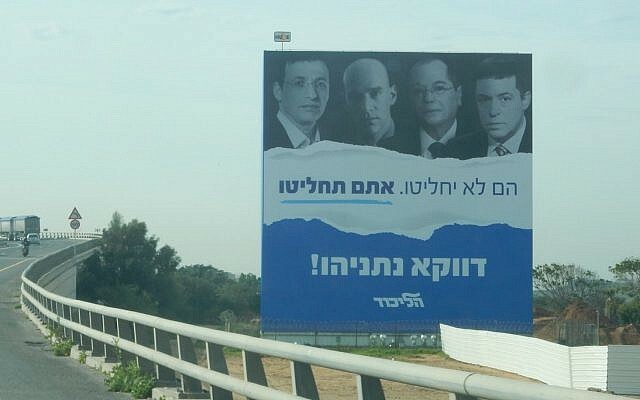 During the current campaign, his Likud party has repeatedly targeted journalists who have been investigating the various corruption cases against its leader. Netanyahu rarely appears in interviews on mainstream TV, and then mainly on the right-wing Channel 20 or the Russian-language Channel 9 (although he freely shares items from the mainstream media if they flatter him or denigrate his opponents). Saturday night’s visit to the Channel 12 studio, to denounce his political rivals, was the exception that proves the rule — his first mainstream TV interview in four years. The main vehicle he uses for more direct contact with the public is Facebook, where he has spent years building up his massive following. His official Prime Minister of Israel page, funded by the Prime Minister’s Office, has 1.2 million followers and deals primarily with Netanyahu’s official activities. The official Likud page, funded by the party, is followed by 56,000 people. It also appears in French. But it is Netanyahu’s personal page, created in 2010, the funding for which remains a tightly guarded secret, where the real action happens. 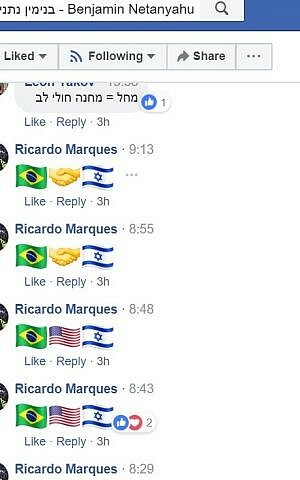 To this one can add Facebook fan pages with names such as Davka Netanyahu (which roughly translates as Precisely Netanyahu) with 19,200 followers, Haida Bibi (10,200), My Bibi (38,000), “We love Sara Netanyahu” (43,000), the Nation for Netanyahu, and others; Facebook groups, such as Netanyahu’s own (30,000 followers); well-known individual fans such as “Ronit HaBibibist,” a highly active Likud party mouthpiece who (which?) mouths off from the Twitter profile of a real person called Ronit Lev; and alternative online news sites such as “Mida,” which describes itself as “‘classical liberal or conservative liberal,’” and Buzznet, housed on Facebook and designed to look like the popular Israeli news site Ynet and to sound like the American social media company Buzznet, with which it has no connection. In February, the prime minister added to this alternative media list an online Likud Party TV channel. 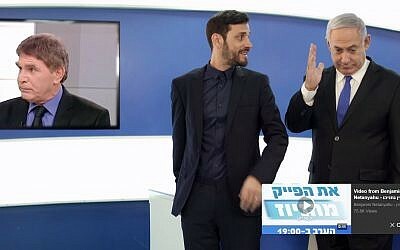 In a move that echoes Trump’s online election campaign broadcasts, Likud TV airs each evening at 7 p.m. on Netanyahu’s official Facebook page and on a new Likud TV page, from a studio in the party’s headquarters in Tel Aviv. The broadcasts make fun of rivals and have landed the prime minister and the party in deep water on more than one occasion. 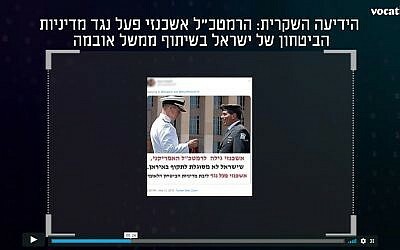 In February, the Likud party was slammed for claiming in a video that if Gantz became premier there would be “hundreds” killed, using an image of a military graveyard as background. 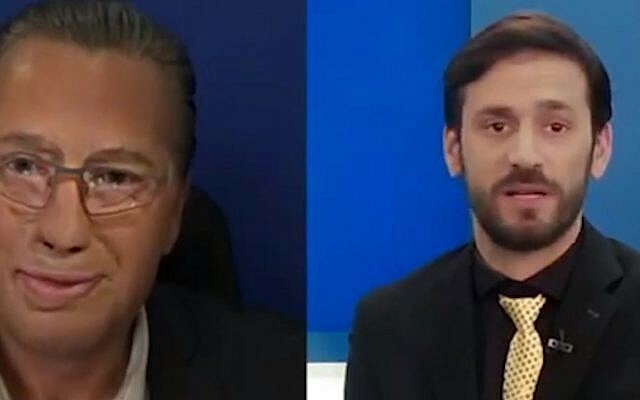 On Saturday, Likud TV presenter Eliraz Sadeh interviewed an actor whose face had been made up to resemble prominent journalist Amnon Abramovitch, who was badly burned when his tank was hit in the 1973 war during fighting around the Suez Canal. “Do I look good?” the actor says. “You look a bomb, as always,” Sadeh replies, using Israeli slang for someone who looks good. All these sites are interlinked — liking, sharing and commenting on posts, video clips and photos across a constantly whirring network of activity that helps to drive Facebook’s algorithms and lift Netanyahu’s profile even higher. On Twitter — to some extent the preserve of politicians, researchers and the media — the prime minister also enjoys an official page along with a plethora of fan sites. His official account, written in English, has 680,000 followers, with the Likud Party in Hebrew trailing behind at 25,000. Again, it is his personal page, created in 2008, that packs the biggest punch, with a staggering 1.53 million followers. Add to this the prime minister’s account on Instagram (15,430 likes) — a favorite network of teens and young adults — and his YouTube Channel (82,445 subscribers) and you tip over into six million followers. By comparison, Yair Lapid, a seasoned politician who is believed to have created an impressive physical infrastructure of contacts on the ground and whose Yesh Atid party joined Benny Gantz’s Israel Resilience to form Blue and White, has just 621,400 followers on Facebook, Twitter and Instagram combined. Gantz, new to politics, has 166,600 followers on the three platforms. Avi Gabbay, the Labor Party’s leader, has 163,800.
Who are Netanyahu’s fans and followers? Some recent statistics show that Facebook usage in Israel is on the decline — from 90% of all Israeli internet users in February last year to 77.6 per cent last month, for example. 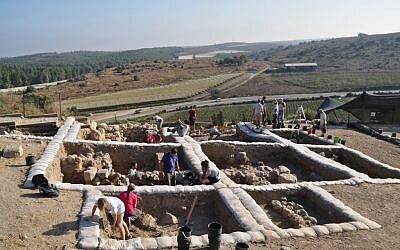 But that still leaves well over five million regular Israeli users of the platform. How many of them are following Netanyahu on any of his pages; and who else, from where else, is Netanyahu reaching? Between 2015 and 2017, The Open University’s Dr. Anat Ben-David analyzed five million comments on the personal Facebook pages of all the politicians in the Knesset session that is coming to an end. While unable to determine the proportion of Christian evangelists among American supporters, she noticed that many of the positive comments came from Texas and included Christian content. Much of this, she suspected, was coming via Christians United for Israel, a 4.1 million member pro-Israel lobby in the US led by Pastor John Hagee, who delivered a benediction at the opening of the US Embassy in Jerusalem last year. As regards followers from other countries, Ben-David told the Times of Israel that it was hard to determine whether they were authentic. On one hand, increasing engagement from India and Brazil might be explained by warming relations between Netanyahu and Narendra Modi and between the prime minister and Brazil’s new right-wing populist leader, Jair Bolsonaro. On the other, some of these profiles click likes at regular intervals and appear to have little other online presence. Netanyahu’s page has also received positive responses from Morocco, and from Indonesia, a Muslim-majority country that is far from Israel-friendly. 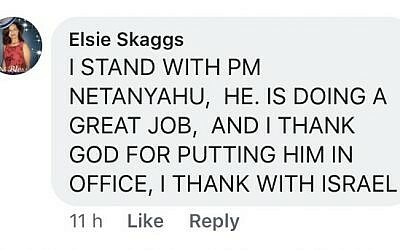 Why an Indian doctor called Balamurali KS or Vinod Suryavanshi of Madhya Pradesh might be bothered to post some generically favorable comment on Netanyahu’s website remains unclear. 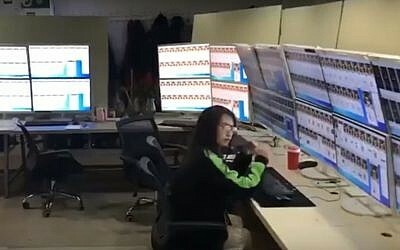 Enter click farms, where people, often in developing countries, are paid a pittance to click on websites to trick online algorithms and artificially boost a site’s popularity. The prime minister’s vast online network enables him and his staff to repeat to a wide following, as they often do, that he is innocent of all the charges of criminal wrongdoing that Attorney General Avi Mandelblit plans to bring against him (subject to a hearing), that Mandelblit has caved into the left and the media, that the media (and several senior journalists in particular) is full of hot air. 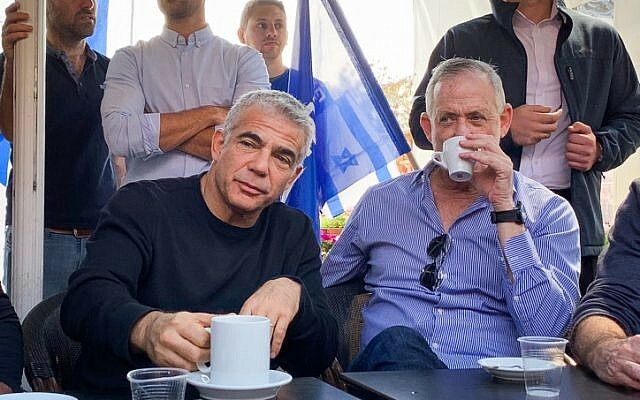 And that the Blue and White party, with its three former army chiefs of staff, is “leftist,” “weak” and soft on Iran; will align with the left-wing Meretz party and Arab parties if elected; and will give land to the Palestinians and evacuate tens of thousands of Jews. Netanyahu’s new media people seem savvier than most of his rivals’ on several fronts. Part of the explanation by Facebook as to why the Prime Minister targeted this article’s writer with a particular post. 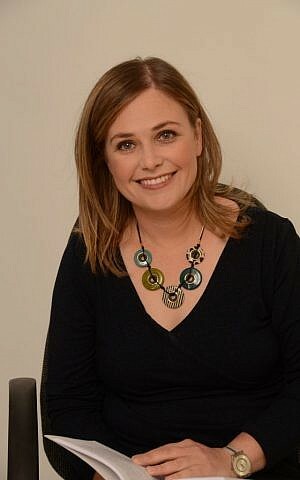 Ben-David, who through her “Meturgatim” (Targeted) project on Twitter is collecting examples of election-related Facebook ads, says she has established that while parties such as Blue and White and the Labor Party tend to target the already converted, Netanyahu’s team supplies Facebook with the names of users who engaged with specific posts and then asks the company to go out and find similar profiles in order to bring in new users in a very carefully targeted fashion. She notes that private Facebook messaging is further concealing communication between politicians and the platform’s users. 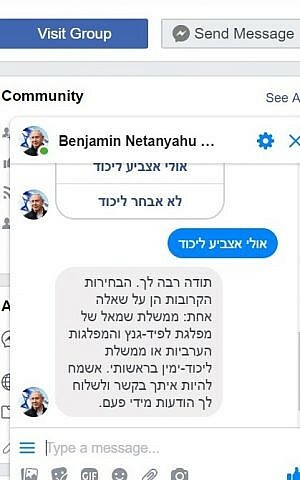 Last week, Facebook rapped the Likud Party’s knuckles for using this bot to conduct a survey of voters’ intentions when the use to which the information gleaned would be put was unclear. In a statement, the company said while the use of bots per se did not violate company policy, the rules for using the tool were reiterated to the Likud’s digital media staff. Unlike Trump, who tweets his own messages, the prime minister does not carry a phone for fear that undesirable elements may listen in. Instead, he relies on a young, polished and dedicated new media team. Whether surfers interpret the prime minister’s claims as lies, disinformation, or nothing but the truth is one thing. At least it’s clear where all of this content comes from. More problematic is the election campaigning whose real sources are unclear. Anat Ben-David says that it is impossible to know how many of the prime minister’s supporters are authentic. Researchers’ access to Facebook data has been blocked since the scandal surrounding Cambridge Analytica, which harvested personal information from more than 80 million Facebook users for the purposes of micro-targeted political advertising during the 2016 US presidential elections. 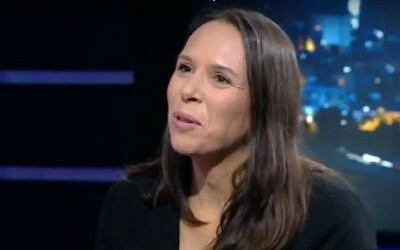 Dr Anat Ben-David, Senior lecturer, Sociology, Political Science and Communication & director of the Open Media and Information Lab at the Open University of Israel. (YouTube screenshot). Before that, she could look at a page’s ID and see how many followers it had, and from which countries. Today, with what she describes as Facebook’s “disproportional” attempt to protect its data, the social media network is effectively cut off from public scrutiny. “Facebook controls the data that is important for the public debate about how to deal with disinformation,” she says. 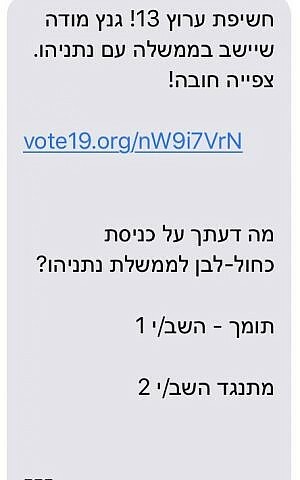 Screenshot of an anonymous SMS text message sent March 18, 2019, which links to a TV report about a leaked recording of Blue and White Party head Benny Gantz refusing to rule out sitting in a Netanyahu government. Outside of Facebook, anonymous text messages are appearing on people’s telephone screens in the run up to polling day on April 9, as they did in the run-up to October’s municipal elections. This reporter, for example, received a text that linked to a TV report about a leaked recording of Blue and White Party head Benny Gantz refusing to rule out sitting in a Netanyahu government, despite Gantz’s public statements to the contrary. The message then asked what the user thought about Gantz entering a Netanyahu-led government. Annual reports (in Hebrew) from the Bezeq telecommunications company show that between 2015 and the end of 2018 the number of Israeli internet users increased from 6.3 million to 6.6 million. Within that, the use of WhatsApp — an encrypted messaging service now owned by Facebook — went up from just under 80% of users to 95%, while Facebook remained steady at around 60%. Twitter use was not surveyed. For its 2018 survey, Bezeq asked which phone app people would be least willing to give up. Nearly 80% answered WhatsApp, and just 40% Facebook. 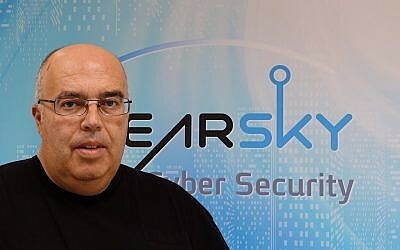 Boaz Dolev, CEO of the Israeli cybersecurity firm ClearSky, which has uncovered targeting of Israel and Israelis by Iran, singled out WhatsApp as the “wildest and most unbridled arena” for fabricated news in the immediate run-up to election day. Writing last Monday in the Hebrew edition of the Haaretz newspaper, he suggested that WhatsApp infrastructures have already been laid, and fake profiles created and made to look legitimate, so that in the 72 hours before election day, and on polling day itself, they could spring into action when everyone was busy and there was no time to research misinformation and have it taken down. 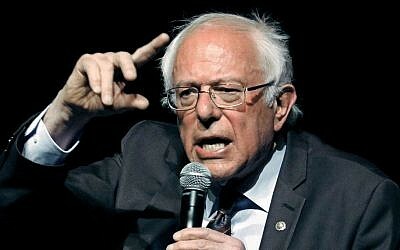 Such a fake would have to be sensational, he wrote — a leak, document or recording, or a video like the one in the run-up to the US presidential elections that portrayed Hillary Clinton stumbling on her way to her car as ostensible proof that she was incapable of functioning as president. That contained partial information, suggesting some great truth, and it had a decisive influence on voters. Bots (automated messengers) and trolls (people, sometimes paid, who spread inflammatory material) are used to amplify particular points of view or attack people with opposing views. Today, Israel’s chattering classes — politicians, academics, journalists — are much more aware of tools such as these and of the fake news they often spread than they were back in 2015, thanks to the revelations of Russian meddling and Cambridge Analytica’s microtargeting of voters in the 2016 US presidential elections. That said, it will take the passage of at least one more election cycle before most Israelis acquire the computer literacy required to distinguish between real news and manipulation. Journalists depend for information about online shenanigans in the final days of this campaign on the work of companies such as Vocativ, owned by Israeli tech investor Motti Kochavi. 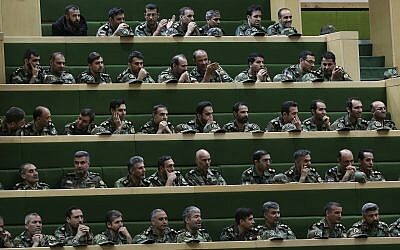 In January, Vocativ revealed that hundreds of Iranian bots were working to increase social and political divisions among Israelis. For the past eight weeks, the firm has been issuing weekly reports about politics-related fake news online. Vocativ’s research indicates that most of the bots and trolls are being driven by pro-Netanyahu forces. Week after week, the bots and trolls treat Netanyahu mainly positively, raining the negative fake news down on his rivals, its reports say. Every week, for eight in succession to date, Benny Gantz emerges as the chief target of negative fake news, and other objects of scorn come and go according to their position vis a vis the prime minister. The leading lie spread about the former general was that he had acted against Israel’s security interests in conjunction with the administration of former US president Barack Obama. This disinformation and other false posts about Ashkenazi were spread by just 150 people in thousands of online posts, with a potential audience of up to 350,000 viewers, Vocativ reported. Bots and trolls also recently targeted model, actress and TV presenter Rotem Sela, who criticized the Likud Party’s anti-Arab rhetoric. 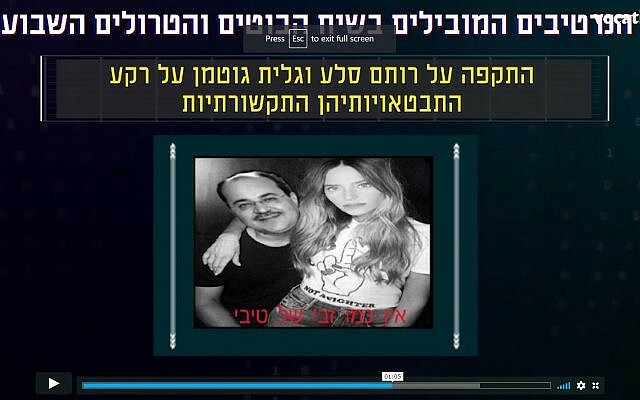 A fake video depicting model, actress and TV presenter Rotem Sela sitting on the knee of Arab lawmaker Ahmad Tibi. (Vocativ/Screenshot, March 14, 2019). One fake visual spotted by Vocativ suggested that Sela was an Arab lover by depicting her sitting on Ahmad Tibi’s knee. An earlier Vocativ report found that bots and trolls were busy trying to convince the Israeli public that the attorney general is a weak person being pressured by the State Prosecutor’s Office to issue indictments against the prime minister in order to harm the Likud party, and the premier in particular. Native advertising — the placing of material online that looks like the site’s editorial content but is paid for by an advertiser to promote a particular product — is another channel through which anonymous campaign material has been slipped into the public’s consciousness. Two platforms, Taboola and Outbrain, both created by Israelis and now based in the US, promote content that appears under titles such as “Around the Web” and “Recommended For You” at the bottom of many news articles on vast numbers of websites. Taboola-promoted content features on Israeli news sites such as Ynet, Walla, Globes, Israel Hayom and Reshet TV. Outbrain’s Israeli media clients include Haaretz, The Marker, Calcalist, Mako and The Times of Israel. 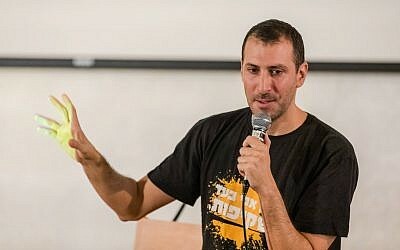 On February 10, the Hebrew-language Maariv news organization published a real news article claiming that Gantz had displayed “zero leadership” and “zero management capability” while chairing an Israeli intelligence startup called the Fifth Dimension. That story subsequently re-appeared under different headlines on various websites, this time as sponsored content promoted by both Taboola and Outbrain, as revealed by the business daily Globes. 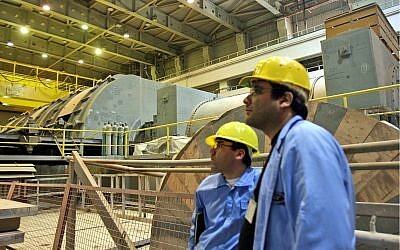 On February 14, Globes’ Hebrew edition reported that this story, as well as others published by other news organizations about Fifth Dimension’s demise, had been pushed by both companies on several major Israeli news sites by an advertising company employed by Likud. 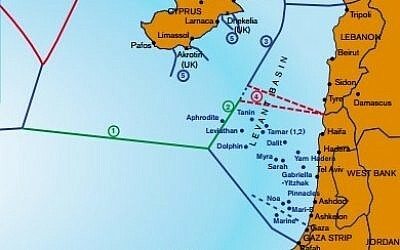 The two companies subsequently informed PR and advertising companies involved in the Israeli election campaign that they would henceforth not publish any such negative material. In June 2017, the State Comptroller intervened to try to stop a practice in which politicians from many parties were blocking Facebook users whose comments were critical from their publicly funded pages. The comptroller wrote that any public figure using a Facebook page should make public his or her policy regarding use of the page in a fashion “consistent with the right of freedom of expression” and including “proportionate countermeasures” to be taken against violators of the page’s policy. He also said sanctions needed to be justified and their imposition properly documented. Some 350 members of the public supplied the project with 372 examples in which they had been blocked by public figures. Of the five leading blockers, Netanyahu took the top slot, having blocked 83 posts, followed by Yair Lapid (71), the Likud’s Public Security Minister Gilad Erdan (35), Anat Berko, also of Likud, who subsequently stopped the practice (20). 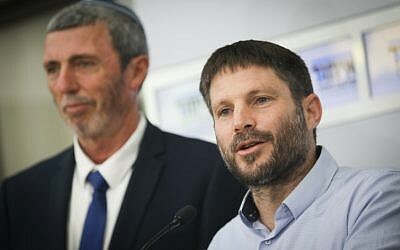 Then came Naftali Bennett (now of the New Right) and Shelly Yachimovitch of what is now the Labor Party (both 18), and Zehava Galon, the former leader of the left-wing Meretz (13). An analysis of the parties showed Likud as the lead blocker (81 posts), followed by Yesh Atid (now part of Blue and White) at 74, and the former Zionist Union (formed by Labor and the now defunct Hatnua party) with 49. But the state comptroller’s words took the form of a recommendation only. 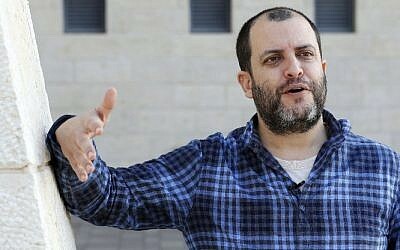 Avital told The Times of Israel that MKs were continuing to block critical comments on Facebook and that he and other transparency activists were monitoring the phenomenon. The Elections Law (Propaganda Methods) of 1959 applies to printed newspapers, TV and radio, but not to digital media. Netanyahu’s Likud party has resisted all attempts at amendments to make it do so, halting a bill before its last plenary vote and becoming the only party in January to reject a plea from the chairman of the Central Elections Committee, Supreme Court Judge Hanan Melcer, to apply basic transparency standards to online campaigning. In February, Melcer said the current election law “screams out” to be updated. Last month, Sean Evins, who leads Facebook’s Politics and Government Outreach for Europe, the Middle East and Africa, admitted at a Tel Aviv press conference that the company had been caught unprepared in the 2016 US presidential campaign. Since then, he said, major steps had been taken to maintain election integrity worldwide — to crack down on fake accounts, reduce the distribution of fake news, make ads more transparent, disrupt bad actors and help to inform government bodies and the public. He said that the company used both machine intelligence and teams totaling 30,000 people to identify and take down fake profiles. 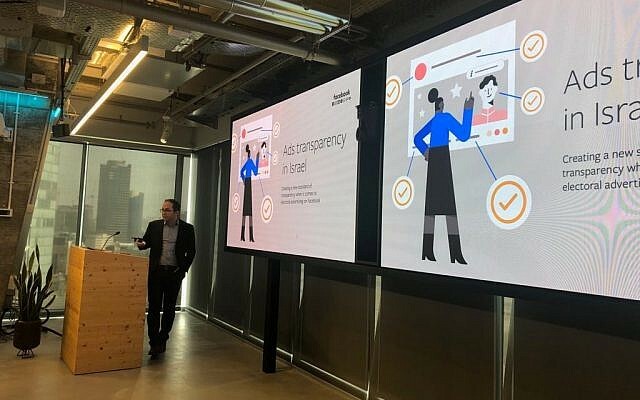 He also explained the workings of the company’s political ad transparency tool, already rolled out in the US, Brazil, India and the UK, and in operation in Israel since Sunday, March 17. In an effort to clamp down on fake profiles and foreign influence, the company requires all such advertisers to identify themselves and to go through a process of ID verification. Political ads are to be filed for seven years in a publicly accessible ad library. Each ad displays who paid for it, how much they paid (what the range was), when it was active, what the potential audience was and how it fared among men and women and where. Once the archive has been up and running for a while, the public will get a better feel for who is spending what on PR, at least on Facebook. 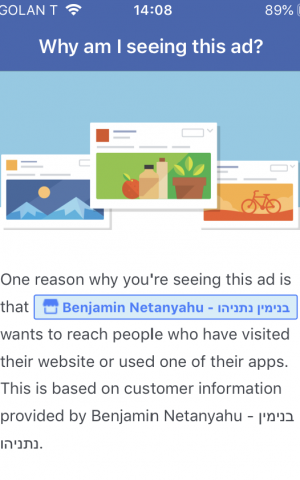 Political ads in Israel had in fact been carrying the names of their sponsors for several days before Facebook’s regulations took effect on March 17, thanks to the intervention at the end of February of Judge Melcer of the Central Elections Committee, whose calls for Facebook to bring implementation of its transparency tool forward had, until then, gone unheeded. Earlier this month, Facebook also announced that it was partnering with an Israeli fact-checking organization within the Globes daily newspaper called The Whistle (HaMashrokit in Hebrew). However, with only five or so fact-checkers and no plans for any immediate and significant increase in staff, it remains unclear how much of a contribution the third-party organization was able to and will be able to make. 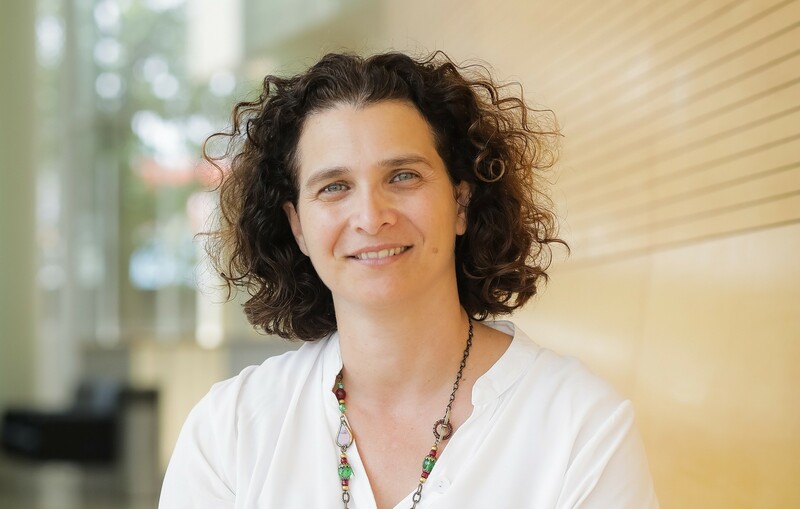 Anat Ben-David is one of just a handful of pioneering academics and tech people trying to study, uncover and expose the illegitimate use of online platforms before April 9. In mid-March the Israel Internet Association, the Israel Democracy Institute and Haifa University’s Law, Technology and Cyber Clinic launched BotReport, an online tool (in Hebrew only) aimed at encouraging the public to report suspect posts on any social media platform. The posts will be checked and if found not to conform to the rules, will be reported to the Central Election Committee and the cyber unit within the State Prosecutor’s office with a view to having them removed. Another initiative, the Big Bot Project, (in Hebrew), focuses solely on Twitter. 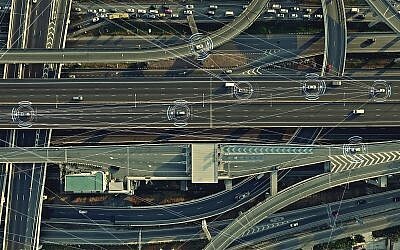 Led by activists and tech experts Noam Rotem and Yuval Adam, it has organized several hackathons to uncover bot networks which it then reports to the authorities to have taken down. 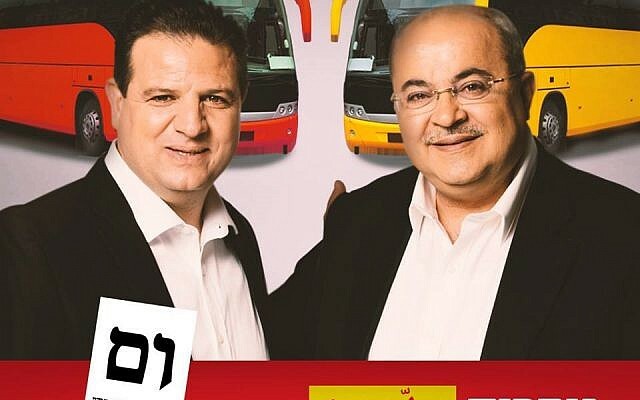 Netanyahu’s 2015 election day scare tactic declaring that the Arabs were surging to the polls has been neatly parodied by Hadash party leader Ayman Odeh and Arab Movement for Renewal (Ta’al) head Ahmad Tibi. But Israel’s 1.8 million Arabs have little to laugh about. 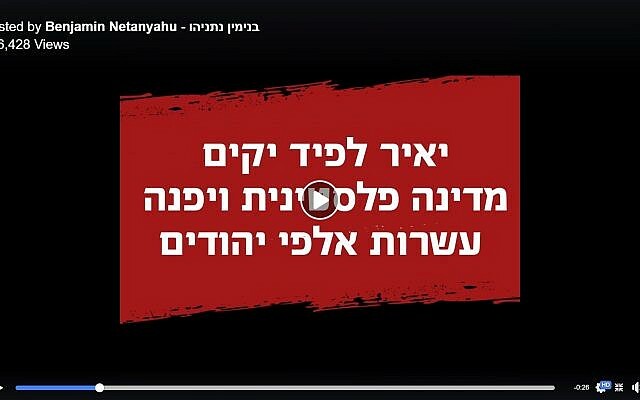 The day before Israel’s 2015 election campaign, Likud posted a video on Facebook of a press conference (in Hebrew) during which Netanyahu warned voters that if they did not choose his party, they would get an extreme left-wing government, dependent on the Arab vote. He even peddled the falsehood that Isaac Herzog had promised the foreign ministry to Tibi. The left would give the West Bank and East Jerusalem to the Palestinians, Netanyahu charged, would expose communities in the south to rocket barrages from Hamas in Gaza, and was bringing in vast amounts of foreign money to topple Likud, the true protector of the state, land and people of Israel. Today’s messaging by Netanyahu and Likud in the final weeks of the campaign is strikingly similar. If the formula works, the thinking apparently goes, why fix something that is not broken? Using every opportunity to delegitimize Israel’s Arabs and to imply that it represents a fifth column, he has also been hammering away at the slogan “It’s Bibi or Tibi,” using his own nickname. And with a far larger social media empire — one that dwarfs his rivals’ — the prime minister is better placed this time than he was in 2015 to reach the biggest audience.